Its very interesting theory that is all about the behavior of organisms. There are numerous stimulus around us and we respond to them either in negative way or positive one. It is type of behavioral theory that focuses on the how people respond to a stimulus. Suppose stimulus is food and you will respond in a positive way by having it eaten. 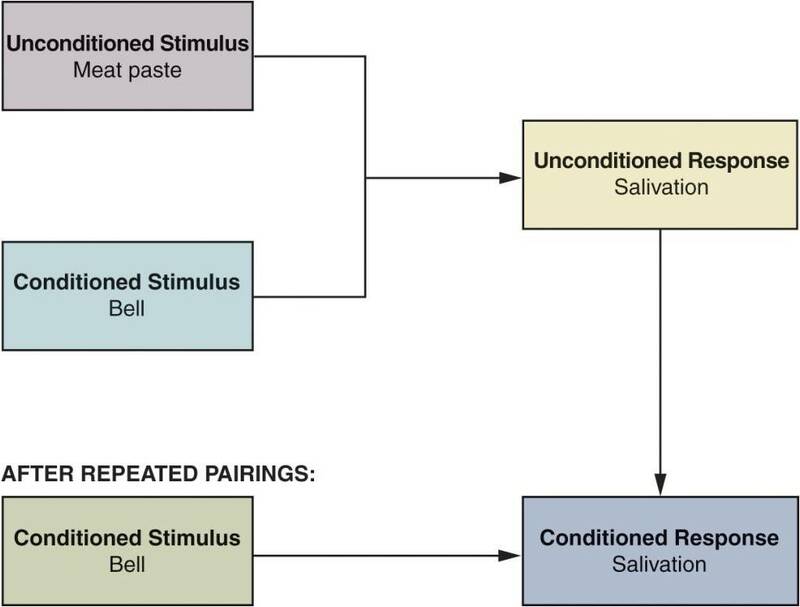 "When one stimulus that is paired with another stimulus that have a known response serves to produce the same response when used alone." It means that one stimulus that is neutral one (first one) get paired with the other stimulus that have a certain known response to it; this pair is repeatedly used as a stimulus; then the first stimulus that was neutral one alone start giving you the same response as the pair was giving. He took dogs that were hungry and highly motivated to eat. He rang a bell and immediately after that bell sound gave them meat paste in response to that dogs started to salivate. he repeated that again and again. when dogs learnt that thing then bell sound alone caused them to salivate. 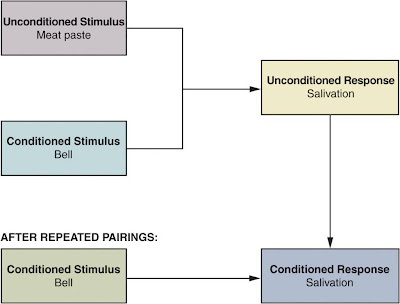 In above mentioned example Meat Paste was the Unconditioned Stimulus (which has particular response), Bell was Conditioned Stimulus (Which was a neutral stimulus), Unconditioned Response was Salivation, and when dogs salivated on the bell sound alone that Unconditioned response became Conditioned Rresponse. So i would conclude this part as that repetitive exposure to stimulus make us learn about that, and then we show are response in accordance. If that stimulus has induced a positive learning then our response will be favorable otherwise it would be unfavorable. In our market scenario, established brands are the unconditioned stimulus, about whom we had learnt earlier and now our response is favorable as they are rewarding. and new products launched under the same brands are conditioned stimulus, and when we respond to these new products using our past learning experience with established ones, then our response to these products is conditioned response.